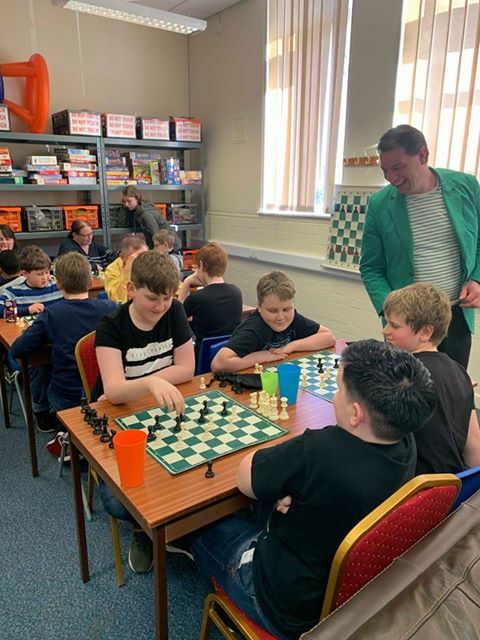 CSC Teesside once again attracted the attention of the media this week when CSC Tutor and library supremo Sean Cassidy was invited onto Joe Mack's afternoon show. Joe Mack is a volunteer presenter at Community Voice For Middlesbrough CVFM and he spoke at length with Sean, plus Alfie and Ihsaan (two of our best local juniors). Sean is having an exceptional year. 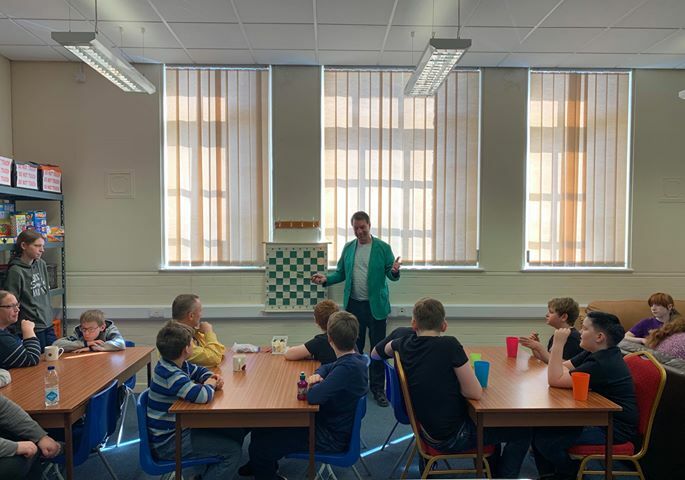 Aside from the tutoring, he is also the key figure at The Buffs chess club in Stockton-on-Tees. 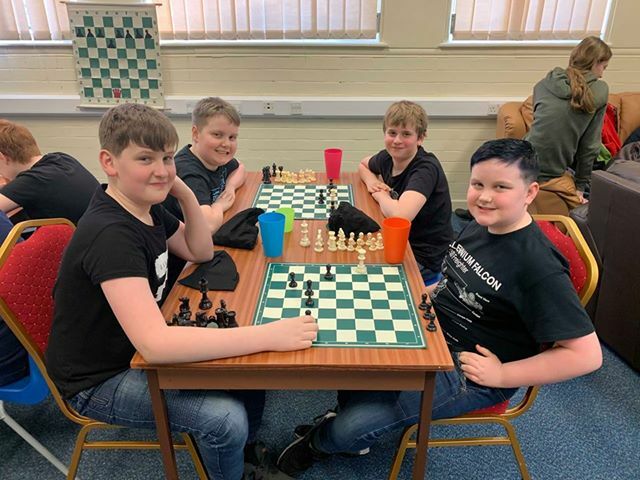 He is part of the team that has just clinched the B Division championship and it was his victory in the semi-final of the Tom Wise KO Cup - against A Division champions Middlesbrough Rooks - that earned The Buffs a place in the forthcoming final. Sean has also earned promotion from the C Division with his other team, The Buffs B. 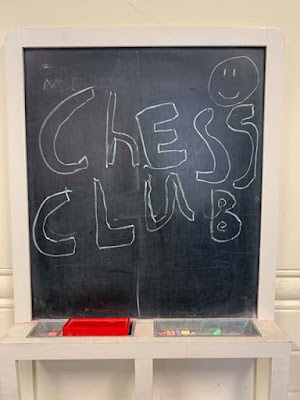 This week I worked for the first time with a Home Education group. The venue was provided by SNAPS (Special Needs Activities with Parents Support) at the Newtown Community Centre in Stockton-on-Tees and I was immediately given a very friendly welcome - including tea and biscuits - by the mighty Ruth. 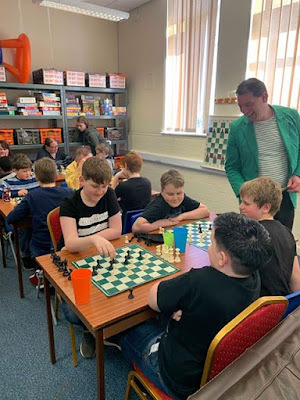 Our session brought together a very hard-working group of children and parents and we had a great deal of fun learning some of the basics of chess and playing mini-games. Opinions on the merits of Home Education will obviously vary. For some, it will be a necessary step to bring the best out of their children. For others, it will be an obstacle in the way of cooperation and progress. I am not now - and never have been - interested in politics, but I am interested in breaking down boundaries and working with dynamic and highly positive people. Take a look at the photographs and judge for yourselves if the intended combination of fun and learning came to fruition. I thoroughly enjoyed working with the group and we are hopeful that more sessions can be arranged over the course of the year. 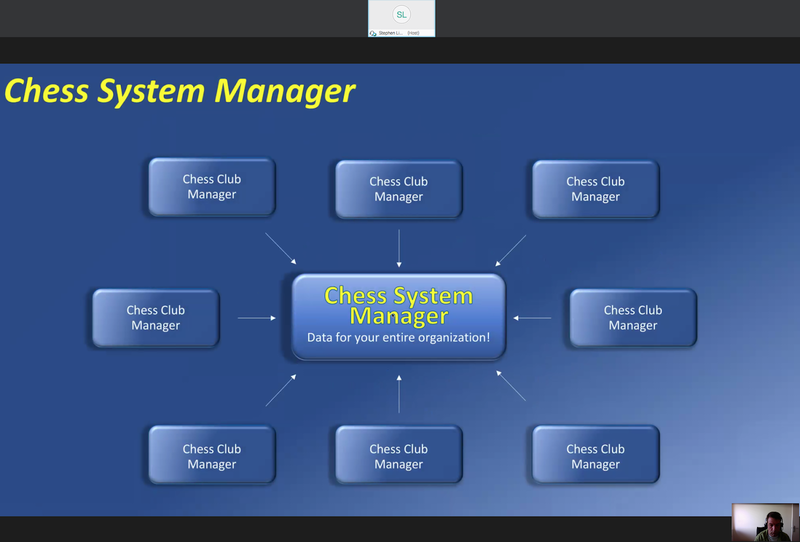 There is even talk of creating wide-ranging community sessions at the centre. Let's do it! 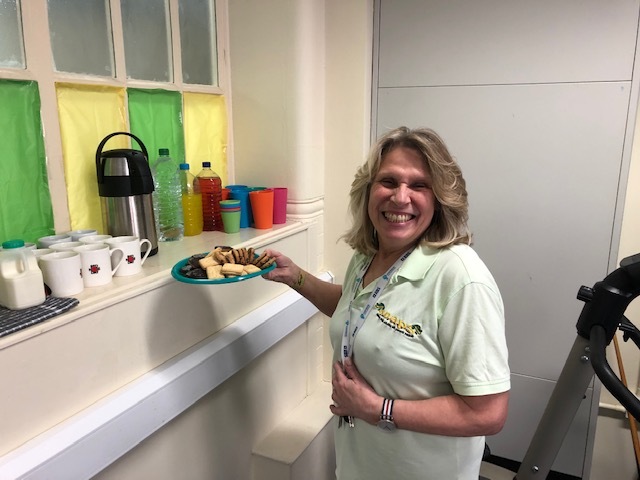 Thank you Fiona for organising everything and thank you to everyone in the group for such an excellent day. All photograph in this report are © Fiona Tierney, with the exception of the picture of Ruth. I have been establishing international links of late in an effort to share ideas and learn lots of new skills, to try and make me better at what I do. 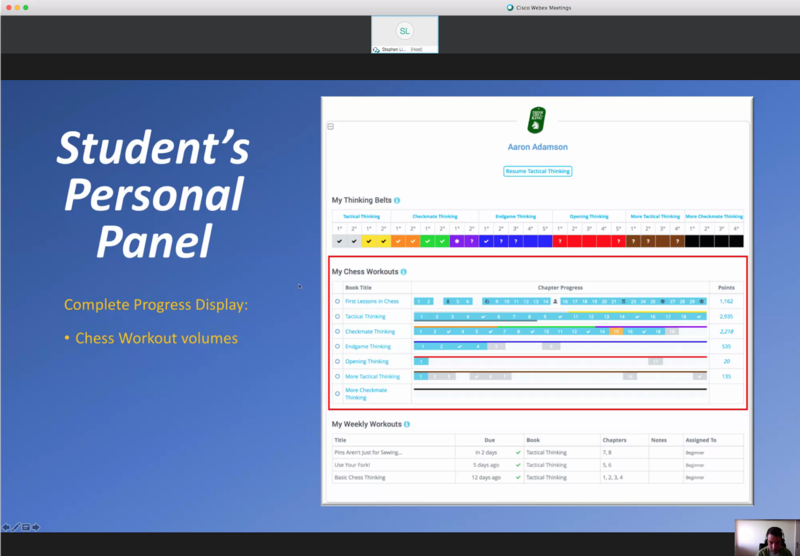 I have already mentioned our ongoing links with New Zealand and Germany and today I took part in my first-ever Webinar, with Stephen Lipschultz in Illinois. Stephen very patiently talked me through numerous features offered by the hugely impressive 'Think Like A King' system. I now have a lot to think about and I am hoping this important new link can be developed much further. See me concentrating in the screenshots! 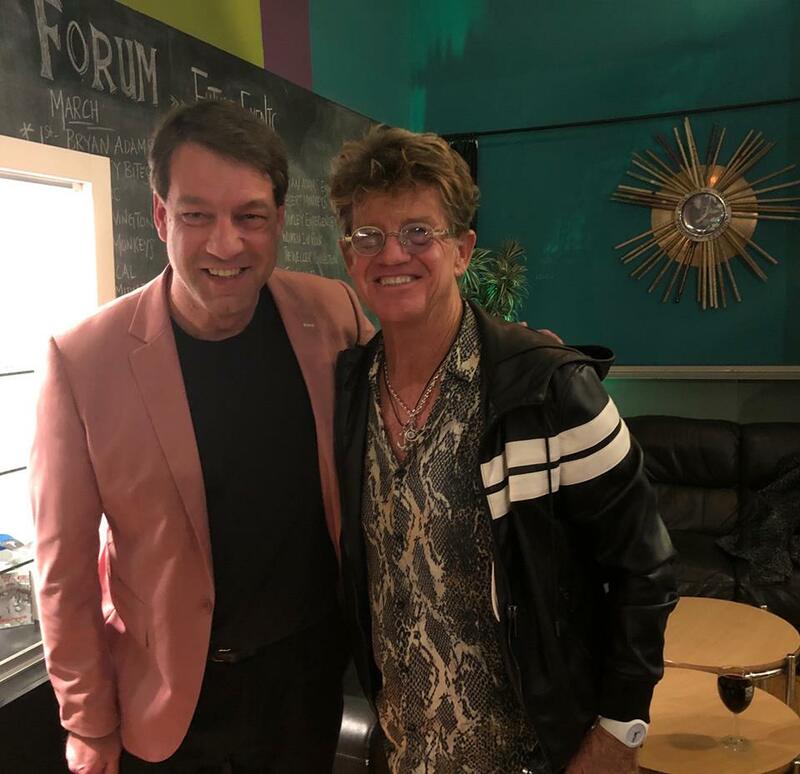 Discussing my latest film project, ‘Confessions of a Chess Tutor’, with Robin Askwith. This veteran of the genre is hoping to have a large part in it. 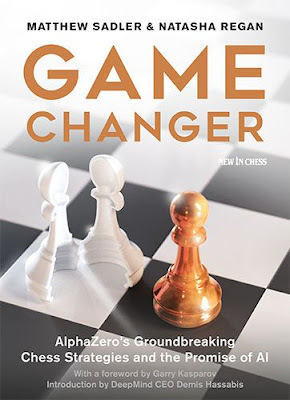 Recently I wrote a five-part series on the Delancey UK Schools' Chess Challenge blog all about Game Changer, the fabulous new book by GM Matthew Sadler and WIM Natasha Regan. An index to the series can be found here. 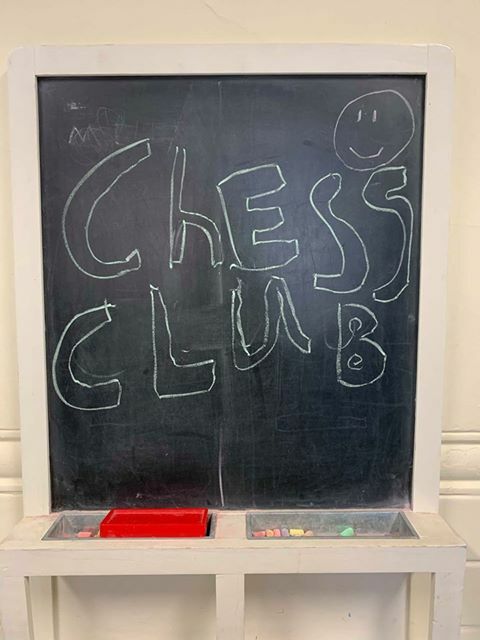 Time for an update on our International Chess Challenge. Yarm Senior School's King's Gambit against Hutt International Boy's School has given rise to early adventures on both sides. 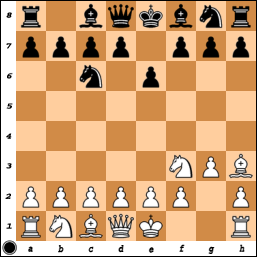 To protect the g4-pawn from the knight's attack. 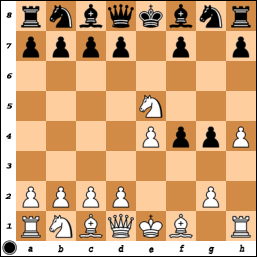 Knights don't normally feel so comfortable on the side of the board but Black had to protect the f7-square. 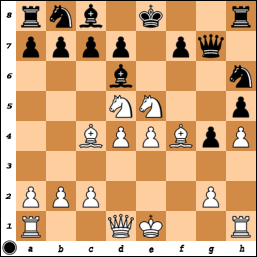 Black is hoping to stabilise the defence and then chase away the attacking white pieces. 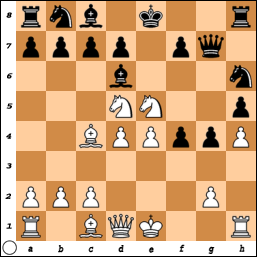 Allowing the other white knight to leap into the centre to attack the black queen. 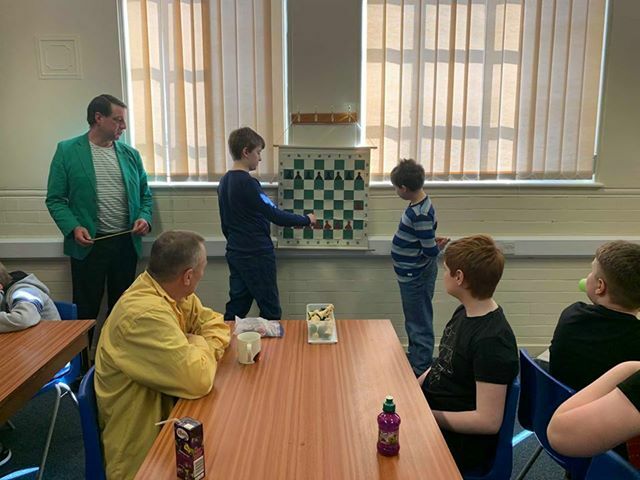 White's rainbow of bishops and knights looks great and the black pieces have been forced to take up unorthodox positions. 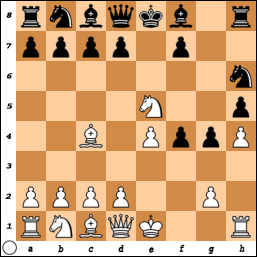 If Black can survive the early pressure then it may be possible to drive away the attackers. 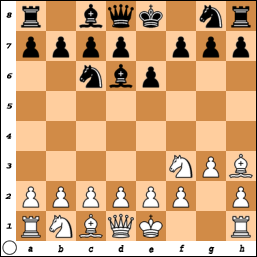 On the other hand, if White can keep the initiative going then it could turn into a very powerful attack. Meanwhile, in the match between Park End Primary and Hutt International Boy's School, with sides are content to develop quietly and keep everything safe during the opening phase of the game. 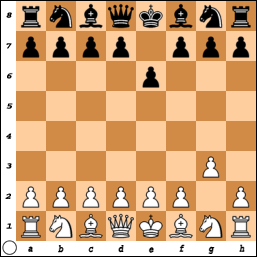 Both sides have developed their knights to central squares, from which they can control more space than if they had gone to the side of the board. Park End have developed their bishop and they preparing to castle. Hutt International now developed their own bishop to a central square. 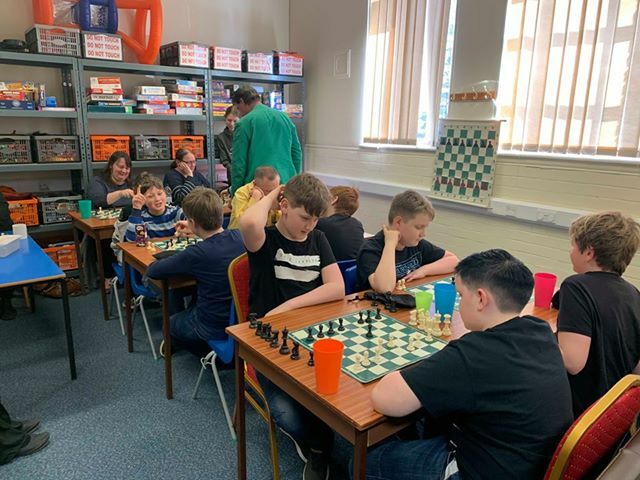 Both sides seem to be limbering up to castle, to make sure their respective kings are safe before the middlegame action begins. Tune in next week for another update. 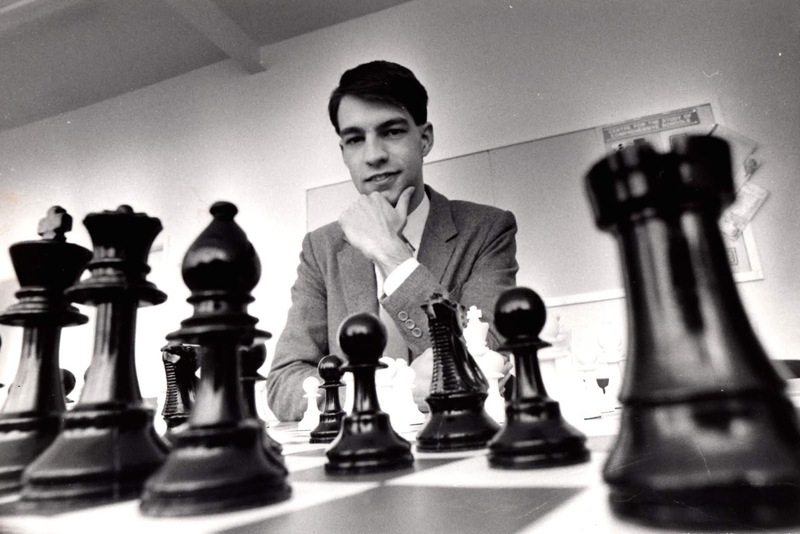 The archive has recently revealed a number of old photographs, including this one, taken at one of my first press photo-shoots. This was in 1988, back when it all started. 'Sacrificing' any thoughts of the standard '2.4' normality, I endeavoured to carve out my own unique path. Back then, I had youth on my side - but now all I have is a promising future behind me.